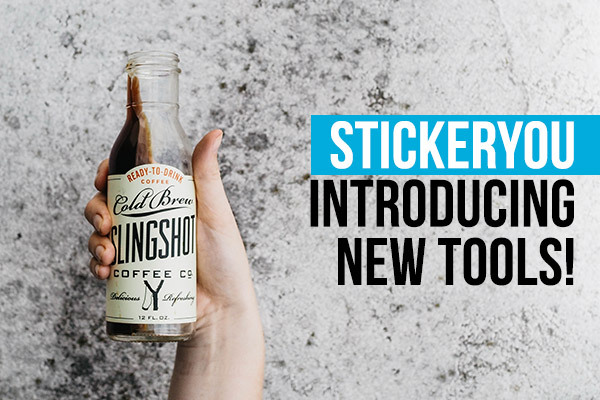 StickerYou Innovations: Introducing New Tools! Here at StickerYou, we work around the clock to update and improve our tools to make it easier for you to create your awesome products. We’ve recently launched several new innovations, to help you better channel your creativity and self-expression! Add some flare to your already awesome designs using StickerYou’s new custom border tool. Whether you’re creating artwork from scratch, or uploading an image of your existing logo/design, this feature allows you to stylize and line your artwork with a border surrounding the edges. Framing your content is a great way to wrap your content and draw awareness to the important elements of your design. 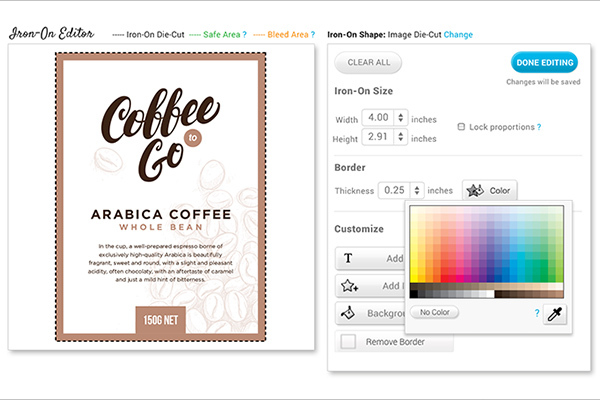 If you’re incorporating a logo, try using the eyedropper tool to brand the border with a corporate color! This will help solidify your brand awareness and keep your brand colors top-of-mind. Alongside borders, we’ve also launched an image scale slider! This is extremely helpful in adjusting the relative scale of your image, and how big each art asset will be on your sticker. No more worrying about the exact height or width in inches, simply slide the scale slider until it’s the size you’d like! Using this feature, you can upload your artwork to our online creator and create your order in a matter of minutes. We also offer a wide variety of tools and assets to assist you in creating the perfect design. Are you somebody who orders roll labels for packaging, branding, or products? Our leading edge technology is the perfect way to ensure that your custom labels come facing the most ideal and efficient direction. When using our online creator, you now have the ability to choose which way your labels should face on the roll when they arrive to you. This allows you to dispense and apply your products as quick as possible, so you can get your awesome products out the door! Still need some help? We’re happy to assist you! We can get you a quote or help you set up an order, just reach out to [email protected]. If you want to get started on your own, you can hit “Create” at the top of this page to begin assembling your order.